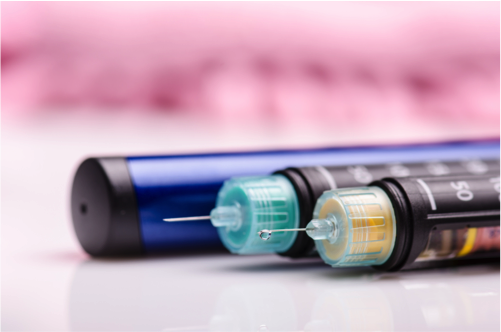 This summer, the FDA approved a diabetes treatment that could end insulin injections for good. Patients would inhale the drug, called Afrezza, before meals, and it might be released to market by the end of 2014. Although patients with chronic lung disease, such as COPD or asthma, shouldn’t take inhaled insulin, the treatment does show promise for patients, especially when combined with oral anti-diabetic medication. Controlling blood sugar could help diabetic patients reduce their risk for serious complications including kidney damage, blindness, neuropathy, and heart disease. Afrezza isn’t right for patients that need long-lasting insulin, but it could reduce the need for injections in patients with less serious cases of diabetes. To take their dosages, patients place a cartridge filled with Afrezza into a standard inhaler. After patients inhale Afrezza, it transfers from their lung cells into their bloodstream. Insulin levels in the blood peak about 15 to 20 minutes later. When patients inject insulin, levels take about 60 minutes to peak. Also, Afrezza clears out of the bloodstream in about two to three hours. By being “fast in, fast out,” says diabetes specialist Bruce Bode, MD, Afrezza acts more like insulin that’s naturally released by the pancreas. In a study examining 500 patients who have type 1 diabetes, patients using Afrezza experienced similar results to patients taking insulin injections. However, they experienced fewer problems with low blood sugar than patients who injected insulin. Inhaled insulin had similar effectiveness in a separate study of patients with type 2 diabetes. Another advantage of inhaled insulin is that patients tend to experience less weight gain. Many newly diagnosed diabetic patients that start insulin injections gain weight when they begin treatment, and weight gain can discourage them from getting needed insulin. Another obstacle to treatment for some newly diagnosed diabetics is their fear of using needles. With Afrezza, patients get needed insulin without piercing their skin. Picture a college student who lives on campus and is earning a bachelor of liberal studies degree. She has type 1 diabetes, which means that her pancreas no longer makes insulin. She might take three or more insulin shots per day around mealtimes, which can be inconvenient when she’s rushing to class. With Afrezza, she could either eliminate her need for injections depending on whether she uses short-acting or long-lasting insulin. Short-acting insulin helps patients cope with elevated blood sugar after meals while long-lasting insulin regulates blood sugar over a 24-hour period. Some patients only need short-acting insulin with meals, but other patients require a mix of short-acting and long-lasting insulin treatments. For these patients, Afrezza can replace short-acting insulin, but it can’t meet their long-acting insulin needs. Even so, they can take fewer injections by incorporating Afrezza into their routines. Afrezza does have some minor side effects including sore throat, cough, and hypoglycemia. 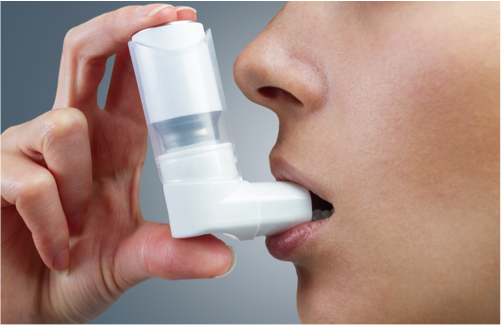 Because it can cause severe bronchial spasms, the FDA plans to place a warning label on the cartridge and recommends against prescribing Afrezza to patients with asthma, patients with COPD, or patients that smoke. The FDA has also asked for long-term studies to evaluate whether Afrezza could cause pulmonary malignancy, and doctors have noted that they can’t predict whether Afrezza could cause oral or throat cancers. Afrezza isn’t the first attempt to commercialize inhaled insulin. Years ago, Pfizer released Exubera, another form of inhaled insulin. Largely because the inhaler was cumbersome, neither doctors nor patients embraced the drug. Pfizer eventually pulled Exubera off of the market. Afrezza is manufactured by MannKind, a pharmaceutical company headquartered in Danbury, Conn. MannKind paid particular attention to inhaler design to ensure patient adherence. After securing FDA approval, MannKind partnered with Sanofi, a French pharmaceutical company, to market Afrezza to patients. Sanofi paid $925 million to MannKind for permission to market the drug. Although no official release date has been set, some sources predict that Afrezza will be available in late 2014. Sanofi plans to market Afrezza specifically to patients that have been diagnosed with diabetes but who have avoided insulin injections. Analysts predict that Afrezza could double MannKind’s stock price within a year. The company spent a total of $2 billion to develop Afrezza for FDA approval. For college students and adults on the go who are trying to manage their blood sugar, Afrezza could become a convenient and indispensable diabetes treatment.